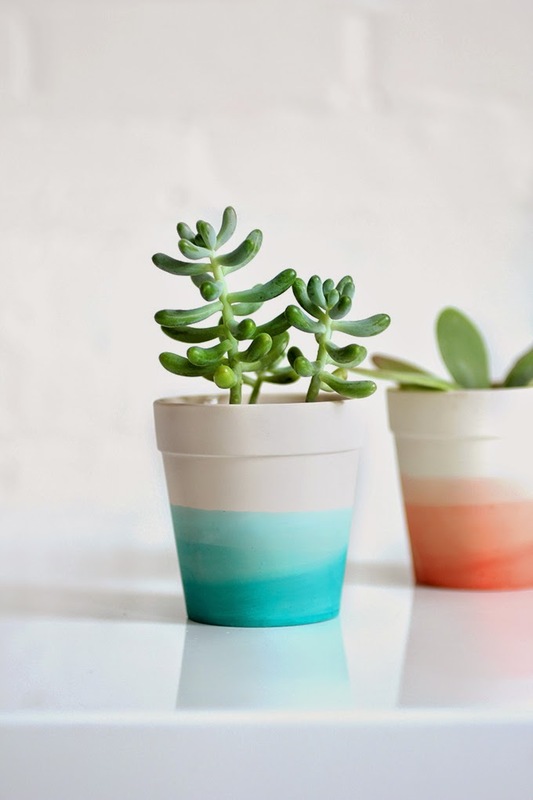 How cute is this succulent planter DIY? I've been super into having living plants in my room lately because they are unique and add a nice little touch to liven (literally) up your space. Not to mention, you can get creative with how you decorate the pot you put it in! I found this project on Pinterest and thought it would be so simple to do to add a little something to your bedside table or desk. This year I really want to keep my space organized and fresh, and have some flowers or a plant once and a while. Doesn't it just put you in such a happier mood when there's a fresh bouquet of flowers sitting on your desk while you work? This is the perfect January project to start 2015 on the right foot, and I have lots of other ones here if you're interested!